Anne Sherwood Pundyk is a painter based in Manhattan and Mattituck. She is currently working on a new body of work called “The Revolution Will Be Painted.” She graciously agreed to share her thoughts on feminism, and the feminist arts magazine Girls Against God. PWP: What is Girls Against God, and why did you feel the need to start it? 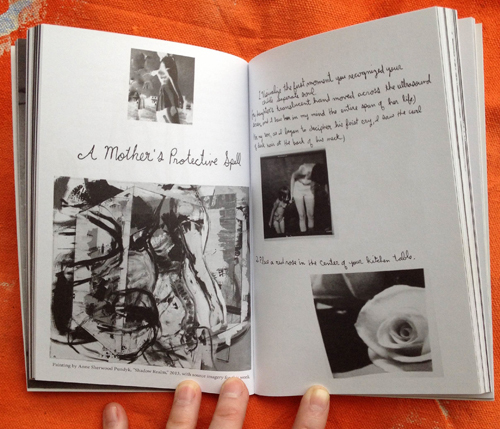 Anne Sherwood Pundyk: Girls Against God (GAG) is a radical feminist arts magazine. 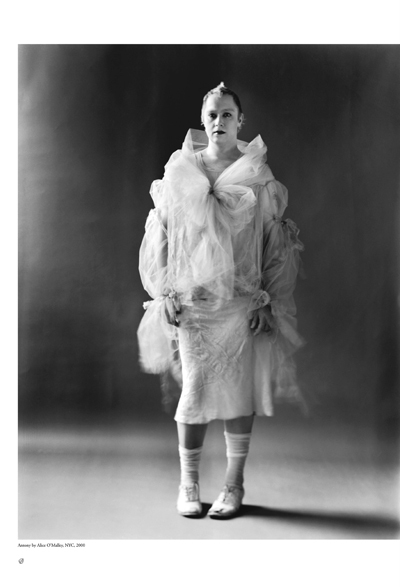 The magazine started as a twinkle in the eye of artist and musician, Bianca Casady; Sierra, her sister and partner in their duo, “CocoRosie,” coined the title. Sophie Morner, of Capricious, green-lighted its publication. Bianca invited me at the start of the magazine to work with her to make GAG an actuality. She and I have co-edited both issues; photographer J.M.Ruellan has designed both issues in collaboration with Bianca. For me personally writing, activism and painting are all of a piece; each facet of my work serves to confirm the others. The title, Girls Against God, refers to the need to challenge ingrained patriarchal attitudes such as those found in organized religion, academia, governing institutions and elsewhere. Its origin is in the resurgence of feminist thought, discussion and activism during the last three years. Our first issue launched in the late spring of 2013 and was a tabloid size magazine in full color. The format suggested we were sharing the news of feminism as delivered through the arts. We showcased provocative, original artwork alongside comprehensive essays and interviews with an international cadre of artists such as: Antony, Gabby Bess, Melanie Bonajo, Vaginal Davis, Yasmine Hamdan, Emely Neu, Kembra Pfahler, Marguerite Stern, Alexyss K. Tylor; and contributions from Johanna Constantine, Mary Hanlon, Julie Higonnet, Molly O’Brien, Chloe Olewitz, Alice O’Malley, Kara L. Rooney, and Jean Marc Ruellan. Bianca and I both contributed artwork, interviews and essays to the first issue as well. The second issue of GAG is a small, black and white book of practical magic that can easily be carried in your pocket. It launched last fall and celebrates spiritual healing instincts tied to the earth and women’s bodies. Through essays, fiction, poetry, interviews and spells, GAG’s second issue delves into the roots of occult earth wisdom passed through generations of women against all odds. Texts are accompanied by rich, black and white images ranging from pen and ink illustrations to darkly mysterious photography. 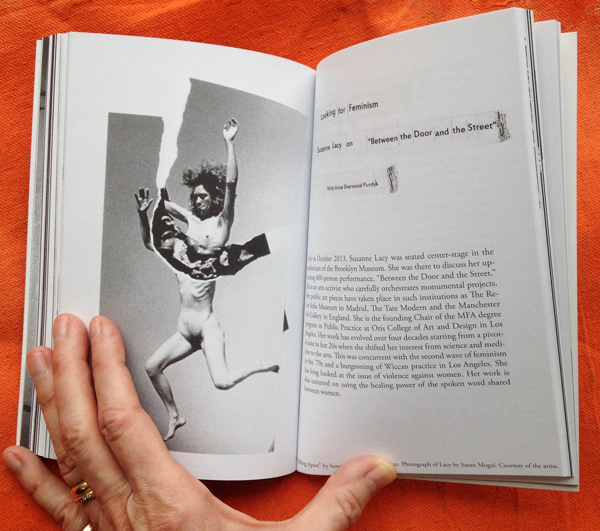 The issue includes interviews with notable artists Carolee Schneemann and Suzanne Lacy; the issue’s contributors include Bianca, me, Eve Bradford, Melanie Bonajo, Trinie Dalton, Karolina Daria Flora, Mary Hanlon, Julie Higonnet, H, J.ZarA, Emely Neu, Kara L. Rooney, J.M. Ruellan, Minka Sicklinger, and Macho Mel Shimkovitz. PWP: What was the response to it and what are your plans going forward? ASP: Our first issue sold out to an international audience. 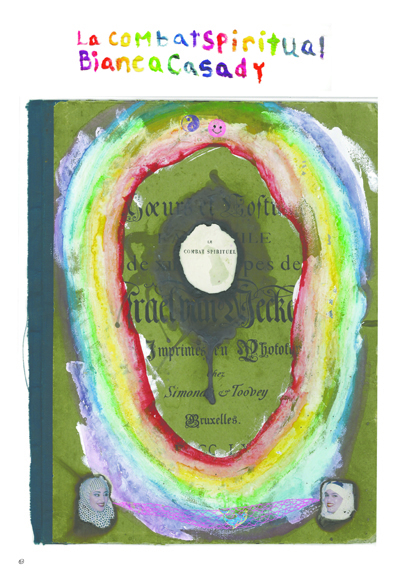 It was described in Amsterdam’s major daily newspaper as “a collector’s item.” Capricious distributes GAG via select bookstores and arts institutions around the world. Our second issue has received positive notice in the press here and in Europe. It is still available online through Capricious. 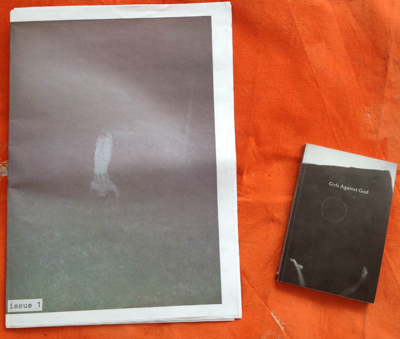 We have used the magazine launches to organize events at Printed Matter in Chelsea and at MoMA PS1. One hope for the magazine is that is will inspire discussion about important issues related to feminism. The events have facilitated people getting together to share their experiences and ideas. In January 2014 we held a large interactive event called the “Wolf Moon Gathering” inside the dome at PS1 and last fall we led a circle discussion about witchcraft as part of the Printed Matter Book Art Fair. There are ideas brewing for the next issue, but we are on hiatus at the moment after several years of intense activity. 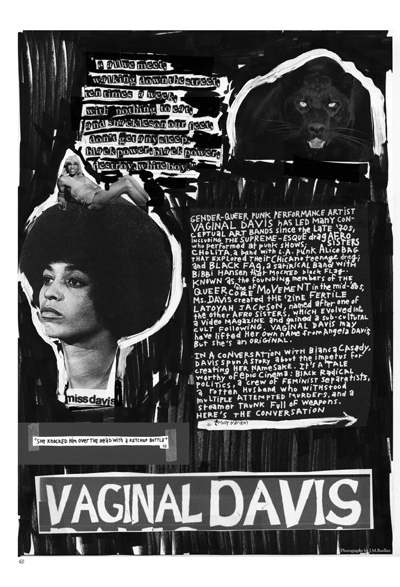 PWP: Why is feminism relevant today, especially to women in the arts? And how is it different today than it was in the 1970s and 80s? ASP: Feminism is more relevant than ever. For example, I recently co-hosted, with artist Kelsey Shwetz and arts advocate Dan Plaxe, a screening of the film, “Vessel” at Bluestockings bookstore on the Lower East Side. The film documents the creation of the organization, Women on Waves, and the implementation of their floating abortion clinic. Women on Waves brings medical information and expertise via international waters to women around the world who don’t have access to legal abortions. They have also implemented other medical abortion programs using the Internet and hotlines. The film is not only a lesson in how to be an activist; it also shows that there are hundreds of women around the world whose lives are affected by unwanted pregnancy. The social stigma against abortion persists. Even in countries like the United States where abortions are legal, access is being limited through procedural costs and restrictive legislation. The flipside of the abortion rights conversation is our culture’s cloistering attitudes about motherhood. We are still feeling the consequences of President Nixon’s 1972 veto of The Comprehensive Child Development Bill that Congress had passed. The law was intended to create a national childcare system so that mothers could work knowing their children were receiving responsible care. Nixon said that organized childcare would have “family weakening implications.” So instead of helping mothers lead balanced lives involved with their children, while also being able to develop professionally outside the home, single mothers and families with two working parents are left to fend for themselves. The wage disparity is an ongoing issue in the United States; according to 2013 statistics women earn 78 percent of men are were paid for the same work. Broadening to a global vantage, nearly 350 women’s organizations signed a “Feminist Declaration” in 2015 calling for global gender equality. Specifically, they are calling for an end to all, “gender-based violence including early and forced marriages, female genital mutilation, honor killing and sexual violence, especially during and after conflict and natural disasters.” The declaration demands the end to all forms of gender discrimination as it relates to access to healthcare, participation in the political process, legal rights regarding property, and reproductive freedom. It has been well documented that despite concerted efforts since the ‘70s little progress has been made for women in the arts as far as gallery representation, museum exhibitions, tenured academic positions, and leadership roles in arts organizations and institutions. A good resource for this subject is the guest editorial section by artist and writer Kara L. Rooney in a recent edition of the Brooklyn Rail. Over twenty artists, writers, critics and academics wrote about gender inequality in the arts. She included a report by artist Micol Hebron whose “Gallery Tally” project has gained momentum around the world. Over 500 artists have contributed posters showing the number of male versus female artists showing in commercial galleries. The total ratio of male to female artists is 70 percent to 30 percent. Each successive wave of feminism builds on the legacy of prior successes and failures. This period has been referred to as the fourth wave of feminism and is characterized by a lack of dogma, an inclusiveness especially regarding race and economic status, and an embrace of fluid gender roles and definitions. The notable flaws in past feminist eras such as the exclusion of gays and minorities are now being actively addressed. Many point to social media and the Internet as vehicles for instigating change. Consciousness-raising is happening in wider circles of influence through these broad, open communication channels.